(Seminar by Amanda Madden, Julia Munro, and Michael Tondre). 1)How do we historicize digital media? The theoretical and methodological apparatus for historicizing “media” seems well-established but how do we do history with digital media since the “texts” aren’t fixed? 2)What are the procedures we should use to uncover the layered history of new media? The topic for this week was the archaeology of digital media, with the following questions: how do we historicize media, and, what are the procedures we should use to uncover the layered history of new media? The phrase “archaeology of digital media” struck us as rather vague. Although certain theoretical approaches (such as Freidrich Kittler’s Gramophone, Film, Typewriter, and Jay David Bolter’s and Richard Grusin’s Remediation), as did certain research approaches (archival work, both print- and digitally-based), came to mind I, at least, found myself “stuck,” for lack of a better/more eloquent word, on the word “archaeology”: I could not help but picture images from classic black-and-white mummy films of men in pith helmets raiding Egyptian tombs. My unease with the phrase suggested that, for me, a consideration of the topic, “archeology of digital media,” needs must begin with the question, why “archeology”? Why has this particular word gained currency? Why not the more general (and antecedent) phrase, “media studies”? 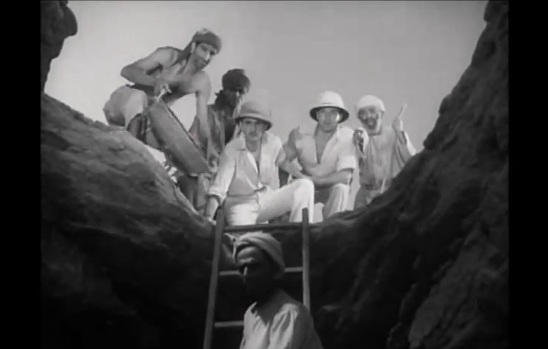 Perhaps the image of pith-helmeted raiders is not so far off, for as used here, archaeology metaphorically suggests an uncovering, a digging down, an excavation of media. The notion of unearthing media from the layered strata of years past is also evoked in the phrase, “a deeper examination” of media, one that’s often also used when attempting to describe this particular theoretical approach. Although archeology metaphorically descends through layers and excavates linear time, theorists of digital media archaeology seek to distinguish the archeological approach from this very suggestion of lineage and chronology. While media studies and a History of Media may trace a seamless trajectory of progress (eliding particularities of media, technologies, practices, and context in a narrative of Communication), media archeology trace histories of media, finding not only “connections” but also “gaps” and “discontinuities,” as described in Erkki Huhtamo and Jussi Parikka’s 2011, Media Archaeology: Approaches, Applications, and Implications: “the past is brought to the present, and the present to the past; both inform and explain each other, raising questions and pointing to futures that may or may not be” (15).